The Vedas say, “Ekam Sat Vipra Bahudha Vadanti – Truth is one, but Sages speak of it in different ways.” All religions and spiritual denominations lead one to the same Divine Self, but in ways that are beautifully unique. 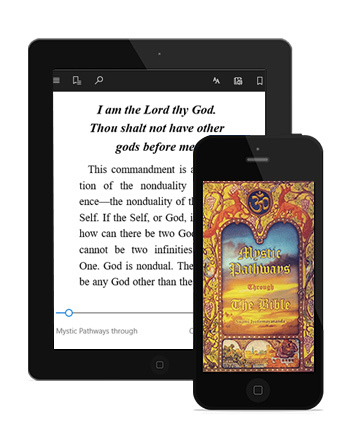 With this lofty understanding in mind, Swami Jyotirmayananda gives spiritual insight into the mysticism of the Holy Bible in the light of Yoga & Vedanta Philosophy. Download link available after purchase from your sales order receipt.